Imran Khan’s government has awarded Saudi Crown Prince Mohammed bin Salman with the title of ‘Global Influential Figure’. A special award from Pakistan to recognise the Crown Princes achievements. Crown Prince Mohammed bin Salman was recognised for his efforts in supporting Islam and taking care of the Two Holy Mosques, in addition to championing key humanitarian issues including Palestine, Yemen, Syria and the protection of Muslim minorities. 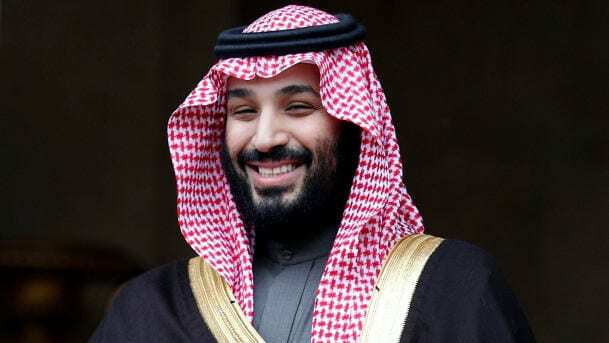 Critics and humanitarian activists have immediately lashed out to the Crown Prince MBS had a direct link to the Khashoggi murder and the suffocating regime and oppression of the Yemeni Nation, an ongoing conflict that has seen many violations of human rights and induced a famine across Yemen. The ceremony was held in the presence of the Imam of Makkah’s Mosque, Dr Sheikh Abdullah Awad Al-Juhani where he urged Muslims around the world to demonstrate unity and overcome the challenges like terrorism and extremism. Saudi Arabia recently presented a multi-billion dollar bailout package for the country and only last week Saudi Aramco, the biggest oil company in the world, has set up an oil drilling operation in Pakistan to boost the economy and dig for oil reserves found in the country. Sheikh Abdullah Awad Al-Juhani delivered a sermon at the Faisal Mosque in Islamabad on Friday, which was attended by more than 50,000 worshippers and was part of Al-Juhani’s visit to Pakistan to participate as a guest of honour in the Fourth International Message of Islam Conference, to be held in Islamabad on Sunday.